Religious Liberty: Shield or Sword? Religious freedom is at the heart of the American ideal. A person’s religion or lack of religion should have no influence on their right to equal treatment under the law. People For the American Way energetically defends the First Amendment to the Constitution, which acts as a shield for religious liberty by preventing the government from coercing people into religious practice or interfering with individuals’ free exercise of religion. This cherished principle is undermined by those who target some people for discriminatory treatment based on their religious faith and by those who try to turn religious liberty into an excuse for denying equal treatment to others. We resist culture warriors who seek to turn religious liberty from a shield into a sword that individuals and corporations can use to harm others by exempting themselves from laws that promote the common good. Religious freedom and equality under the law are both core constitutional principles. 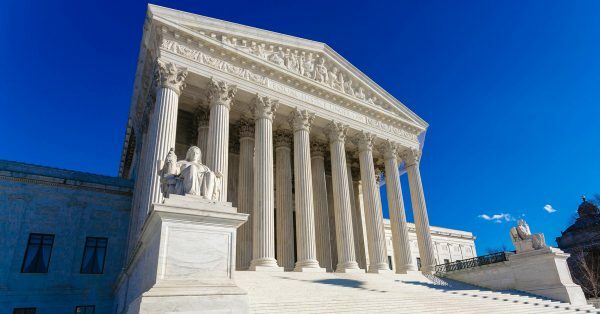 Religious liberty is not absolute, in the same way free speech and other constitutionally protected values are not absolute, and judges and public officials have to make difficult calls when constitutional and civil rights principles come into tension with each other. Having your positions criticized in public discourse is not the same as being subject to persecution; neither is being on a losing end of a legal or policy dispute. The U.S. Constitution prohibits the establishment of an official religion and forbids the government from requiring that anyone hold particular religious beliefs in order to serve in a public office. The separation of church and state has allowed a vibrant and mostly peaceful religious pluralism to flourish in America. 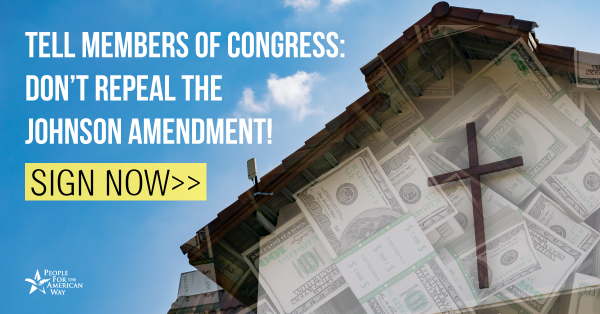 Tell Congress: Keep important protections between church and state! To get in touch with an expert, contact our media relations staff by phone at 202-467-4999 or by email at media@pfaw.org. Who Is Weaponizing Religious Liberty?